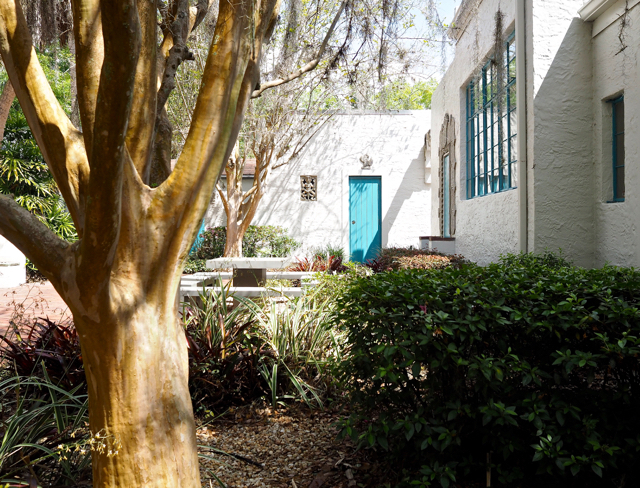 Here are a few more pictures I made while visiting the Maitland Art Center in Maitland, Florida. The place offers classes in various media, a museum, and gift shop. The grounds are a wonderful place to relax. I used my Olympus OMD EM-1 camera with a Zuiko, 17mm, 1.8 prime lens. The place provides many photo opportunities. Likes, comments, and of course, followers are always appreciated. You can click on a photo to enlarge it. 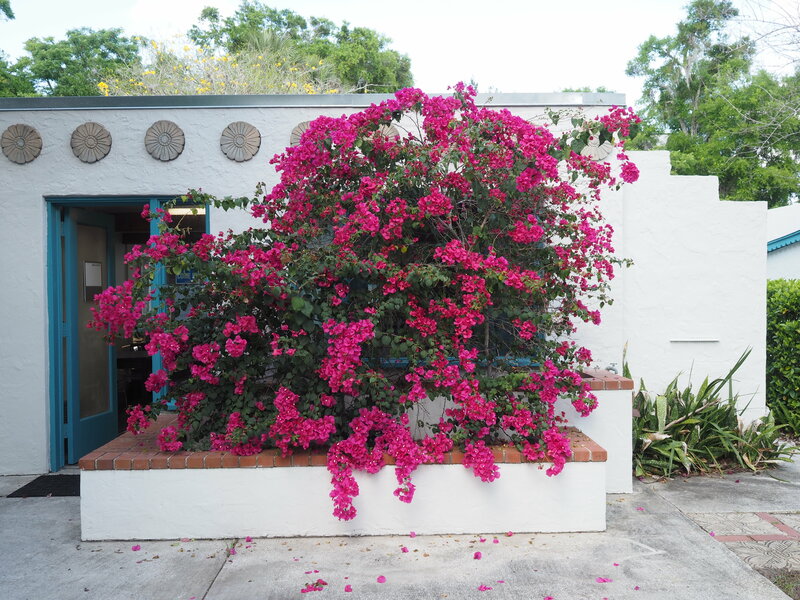 A beautiful bougainvillea adorns one of the buildings. 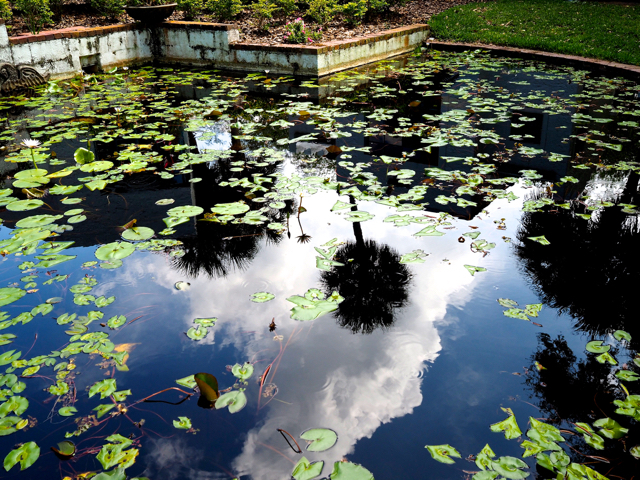 I liked the reflection of the clouds and sky in the water. There are many sitting areas around the grounds. 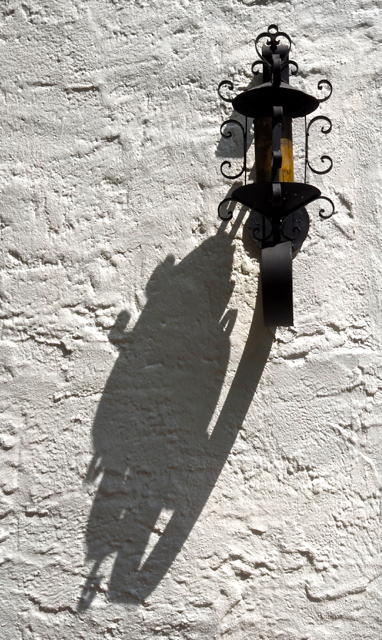 This sconce and its afternoon shadow caught my eye. 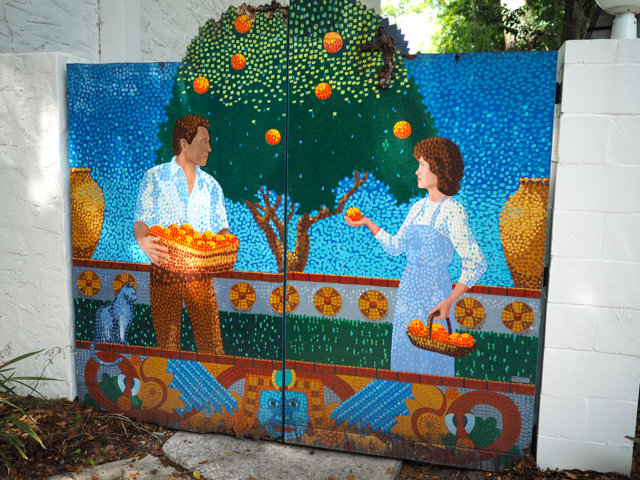 This painting has a hint of Seurat’s style in it. 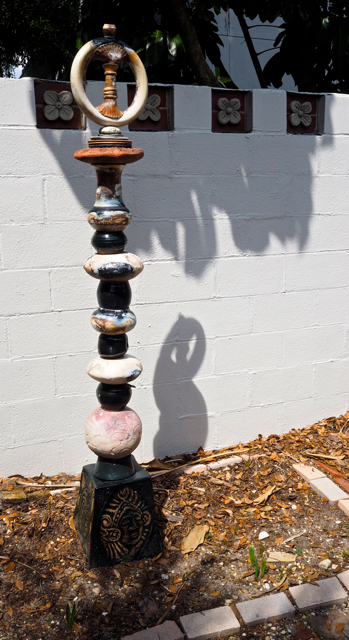 Here’s an unusual piece of sculpture. 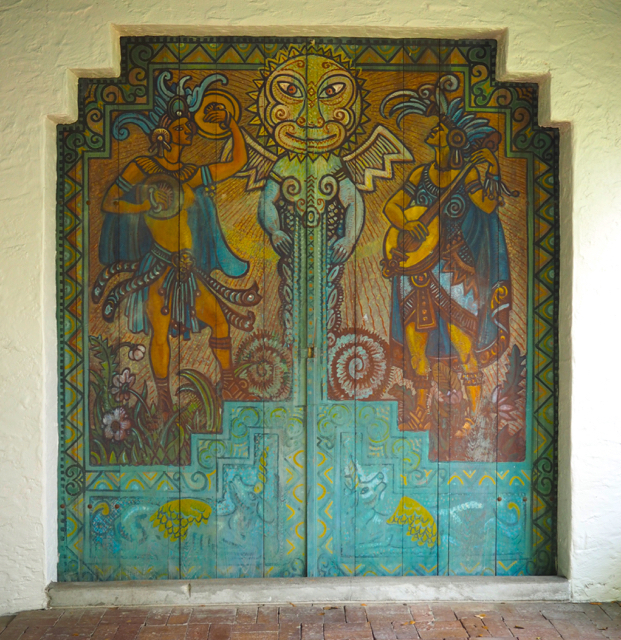 A hand painted Aztec scene on a doorway. 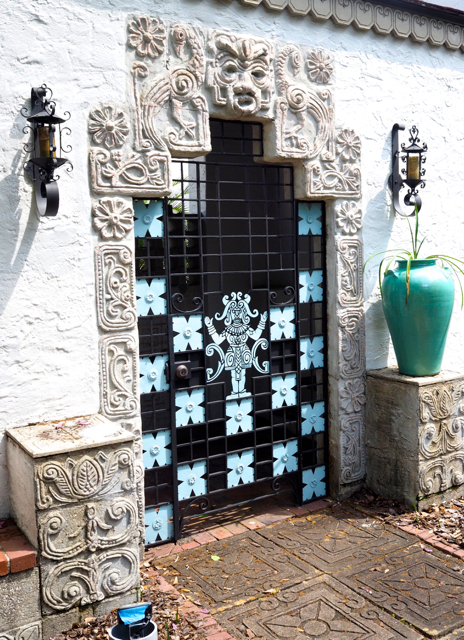 Here’s another interesting and colorful doorway. except I know I am getting knowledge every day by reading thes pleasant content. Knowledge is a good thing. I wouldn’t say anyone wastes their time in the pursuit of knowledge.